It’s about that time again. Summer flew by in a blink and kids are gearing up for a brand new school year. With the beginning of the school year comes an even busier time for both parents and students. Juggling work, school, extracurricular activities, and homework is a small feat. With less time to cook and more time dedicated to a busy schedule, parents are looking for simple solutions for dinner. They’re also looking for discounts and deals. 75% of consumers report scouring their inboxes for relevant discounts. So, why not market some back-to-school restaurant promotions? Buy-one-get-one is an attractive restaurant back-to-school promotion because it means diners get something for free. And who doesn’t love free? For families with two or more children, this is an awesome deal. 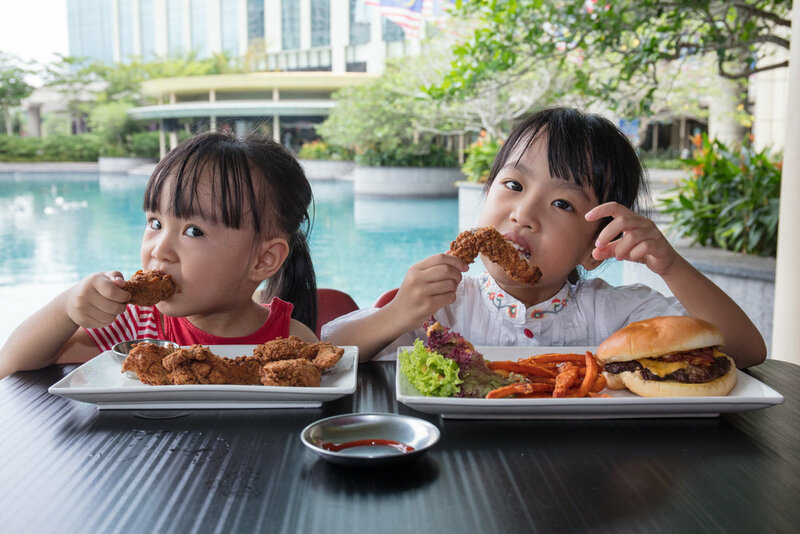 Attract larger crowds by offering this buy one get one free deal on kids menu items. If you only want to run the back-to-school promotion during a specified time frame, you can do that as well. Offer BOGO on weekdays from 5-7pm, which is prime for dinner time. Or, run an after-school special from 2-4pm; this can be the perfect option for families that are eating between school and a soccer game. You can even designate a day for BOGO and run it for the entire day. If you choose Tuesday as your BOGO day, let it be known that parents can receive a free kids’ meal with the purchase of another all day on Tuesdays. Want to set a limit? Run the promotion through the beginning of the school year only and let people know the deal expires at the end of October. If you find the deal was successful for increasing foot traffic and profit, you can consider running another one in the winter or spring. Of course, you can mix up the parameters based on what you feel comfortable offering. Maybe you want to offer a free kids’ meal with the purchase of a regular entree, or just keep it confined to the kids menu. How you choose to restrict the offer is up to you. If you’re an only child (like me) the BOGO kids meal promotion won’t be too helpful. Half-priced menu items can go a long way for any family of any size. Host kid-centric “happy hours” during a certain time period on weekdays. Slash prices on kids menu items in a specified timeframe to encourage even more foot traffic during those times. Most schools let out around 2-3pm, so you can start the half-priced happy hour at 2 and extend it until 5 right before the dinner rush. Don’t want to discount the entire kids menu? Choose certain items to offer at a discount or slash prices on your regular menu appetizer and dessert items for the whole family to share. When it comes to happy hours, they can really affect your bottom line! Traditional bar-based happy hours have proven to boost sales. A study by point of sale company, Cake, found that bars with happy hours had 33-percent higher transactions than those without. This can translate to your kid-centric happy hour as well. Make sure to dive deep into the numbers and find out if you’re enjoying more transactions and profit during this happy hour timeframe than you did before offering the discount. If so, you may want to consider extending it past just the beginning of the school year. Of course, you can pair this kid-friendly promotion with your regular happy hour specials so both parents and kids can partake in the fun! Excelling in school deserves a reward, right? Start a program that recognizes students who do exceptional work. Encourage kids to bring in a report card or graded assignment in order to receive a free meal or discounted dessert. Upon showing the waiter their gleaming grades, kids can receive a ticket good for a free or discounted item of their choice. This program isn’t only beneficial for parents’ wallets, it makes the kids feel special, too. 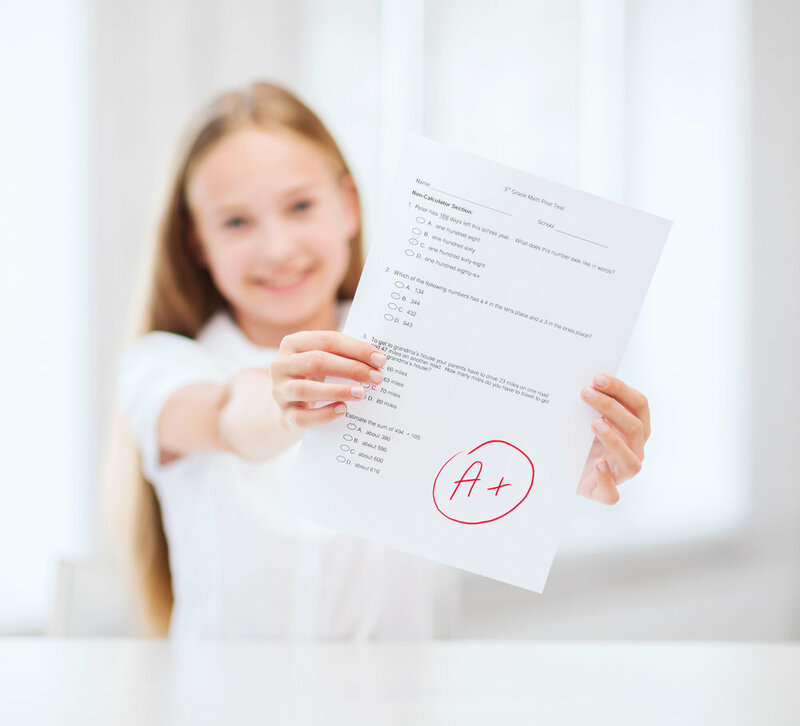 Rewarding students for succeeding in school can even inspire them to continue making an effort to do well in class. A reward program like this is perfect to incorporate into your social media strategy. Come up with a unique hashtag for the promotion using your restaurant name, like #BistroKidsGetGreatGrades or #LuigisLovesStarStudents. You can ask these stand-out kids to pose for photos with props you create and then post them to your social accounts promoting the program. Of course, you’ll have to ask the parents’ permission to use the photos – but spreading the word socially can really help expand awareness of the sweet deal. Consider informing local newspapers and websites about the promotion as well and see if a publication or news station wants to write a story about it. Creating buzz around the program and your restaurant can help attract more customers. Loyalty programs go a long way in the restaurant industry. In fact, 77% of consumers say loyalty programs make them more likely to stay with brands. There are plenty of loyalty apps that make it easy for restaurants to offer customers a digital way of keeping track of points and rewards. Some examples include Belly and LevelUp. Let diners rack up points with each bill or run a “buy x get one free” promotion for select items. Knowing that they’ll receive free items encourages customers to keep coming back, and you want repeat visits! If you want to gear the program toward kids, offer punch cards instead. You can give kids their own rewards cards and let them mark off each tally with a sticker to make the process more fun. Kids will be excited to know that they’re earning something by being a loyal customer. Our advice? If using the punch card system, you should also keep track digitally using parents’ emails or phone numbers. This way, if a card is lost, you can easily pull up the information so kids can still receive their free item. This promotion is geared toward the “older kids.” Encourage students with a valid ID to show it at your restaurant in order to receive a specially discounted or free item. You can even offer a percentage off the total bill with a valid ID. As with the other discount programs we mentioned, you can choose to offer this during a specified time frame or on a certain day of the week. If the promotion is running well and raising profits, consider extending it to a larger time frame. This Student ID program is great for restaurants in college towns. College students are always looking for promotions and discounts in order to save a few bucks. Offering a student ID discount will encourage them to want to dine with you. If college kids are satisfied with their food and bill, they’ll most likely tell their friends and fellow classmates to check you out as well. Everybody wins! Test out the Student ID idea during different time periods. Run a lunch promotion for a period of time and then change it to a late night offer. See which time of day works better for making a profit. Choose which time works best for your restaurant and run with it for the semester. The back-to-school season is a perfect time to consider running a new restaurant promotion in order to drive more foot traffic and boost profits. Consider these five unique back-to-school restaurant promotions when preparing your restaurant for the new dining season. Market these deals heavily during the school year in order to gain maximum exposure. Parents and kids will be excited for these exclusive offers and discounts and you’ll enjoy the positive perks as well.